Not really a repair but useful information. 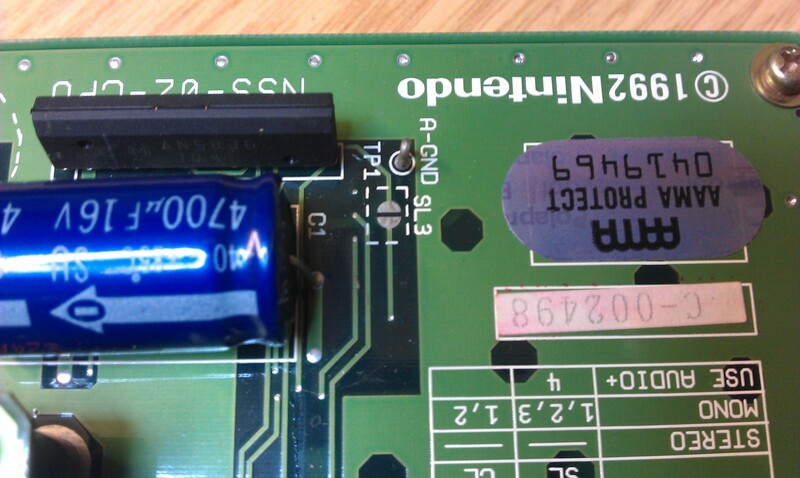 My NSS board by default is set to stereo sound output. 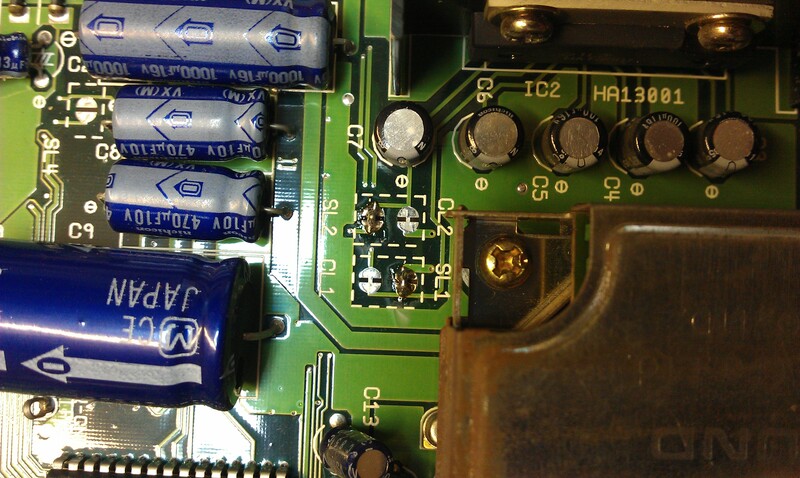 This is no good for me but fortunately it can be switched for mono output via the on board jumper pads and the silk screen clearly states what needs to be done. Although most people will not need a guide on how to do this, I thought id write it up anyway for just for the sake of it. 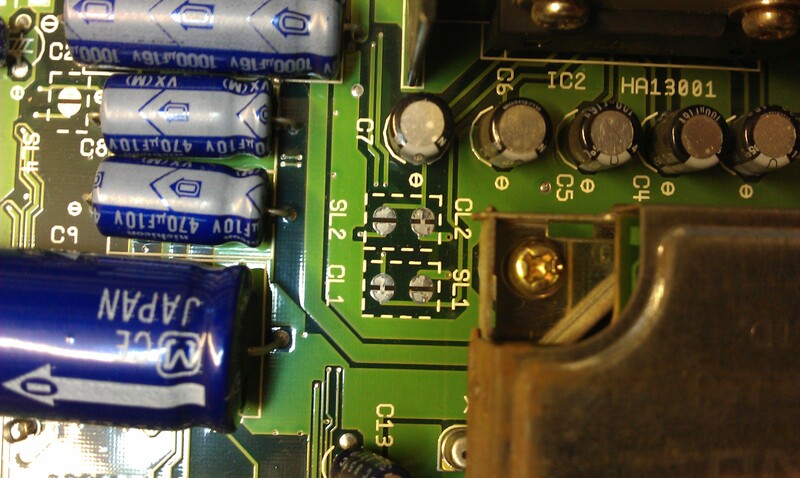 Silk screen instruction clearly show for mono output jumpers SL1, 2 and 3 and CL1 and 2 need to be closed. On my board the CL jumpers were already shorted but non of the SL ones were. 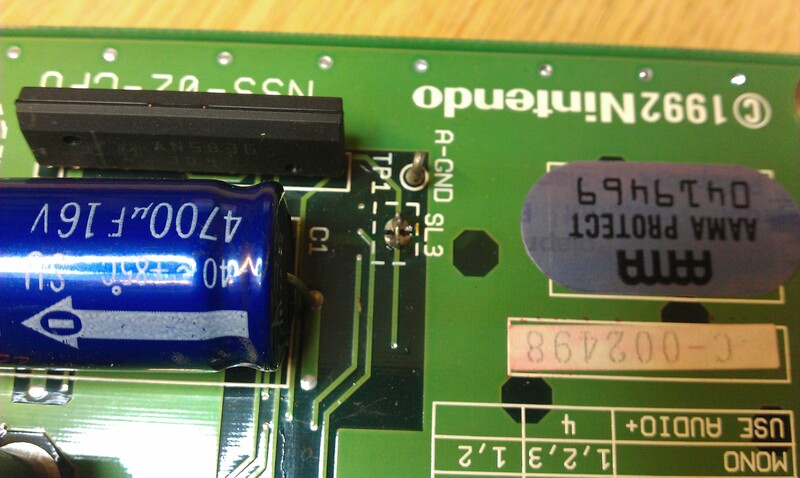 I used a tiny off cut from a recently soldered capacitor to make up small links to solder in and within a couple of minutes all was complete. The board now outputs mono sound. I also noticed my BIOS ROM was labelled up “NSS V3” and I am pretty sure MAME only has V2. 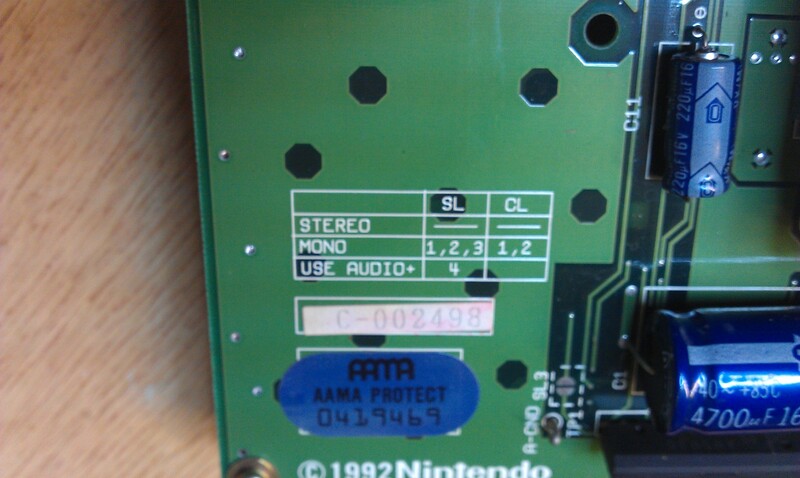 I dumped it and sure enough it wasn’t recognised by MAME.